Morpholio and Porcelanosa are proud to share this month’s inspiration board highlighting the collection’s variety of shimmering metallics. Representing a range of hue, tone, and texture, there is a beautiful metallic to accent any interior scheme. 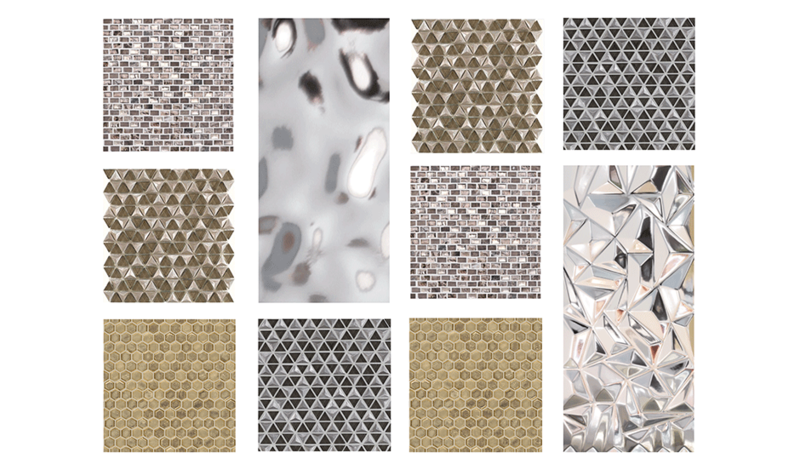 Treasures Bronze, Fusion Triangles and Flow Hexagon mosaics are shown alongside the more fluid feel of Sea Silver tiles. The Fusion Triangles pattern in Steel represents a cooler approach, and the Prisma Silver is strikingly edgy in contrast to the simplicity of the Sea Silver. Whether warm or cool, these metallics bring a modern look, while still maintaining the sophistication of Porcelanosa’s timeless design. Morpholio Board is now featuring several of Porcelanosa’s innovative products from their extensive Product Gallery. Make your own Board with your favorite inspiration from Porcelanosa on Morpholio Board. Tag Morpholio and Porcelanosa on your boards so that we can see your beautiful designs! 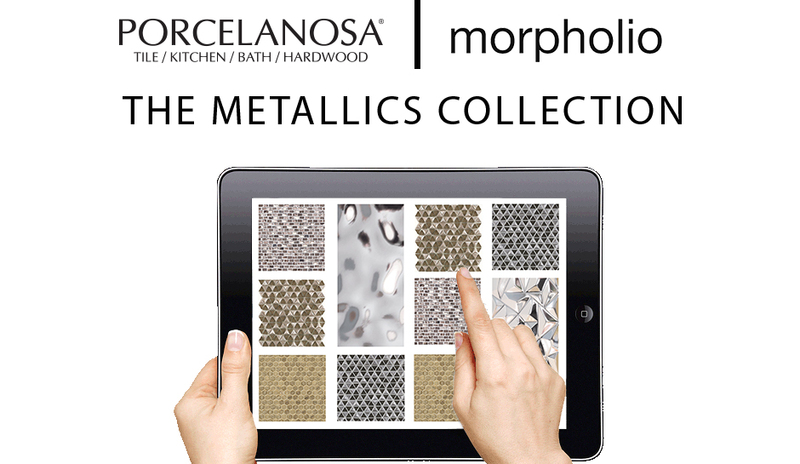 Awarded “Best App,” Morpholio Board is the dream software for Interior Design. Called “Addictive” by ELLE DÉCOR and “Stellar” by Design Milk, Board combines a beautifully curated products library with the tools you need to create, share or present design and mood boards from anywhere.